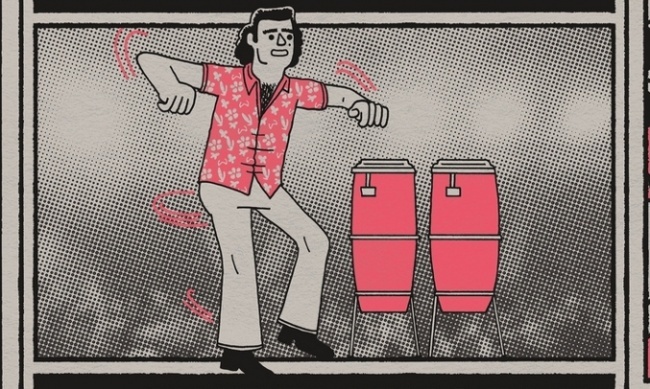 From the creator behind 2014’s Andre the Giant graphic biography and 2016’s Tetris comes Is This Guy for Real, Box Brown’s latest graphic novel—an exploration of the life and career of comedian Andy Kaufman. Most contemporary audiences probably only know Kaufman from the 1999 film Man on the Moon with Jim Carrey or the recent 2017 biopic Jim & Andy, which explores the bizarre connections between Kaufman’s career and Carrey’s own dedicated method acting approach to the production. Given his short career in the late 1970s and early 1980s, Kaufman might appear as a difficult subject for such a book; however, Brown does a brilliant job presenting his life and ambitions in a succinct and researched book. In fact, if there is one setback for such a superb book it is its limited appeal to non-Kaufman fans. Those familiar with Kaufman will find the parallel stories of his life and that of Jerry Lawler fascinating, as well as the relationship the two built over the years with their shared passion for wrestling. Yet, for a comedian whose humor was so rooted in performance, seeing Kaufman and witnessing his hilarious and simultaneously at times cringeworthy role as despised heel is the core of his talent and performance. 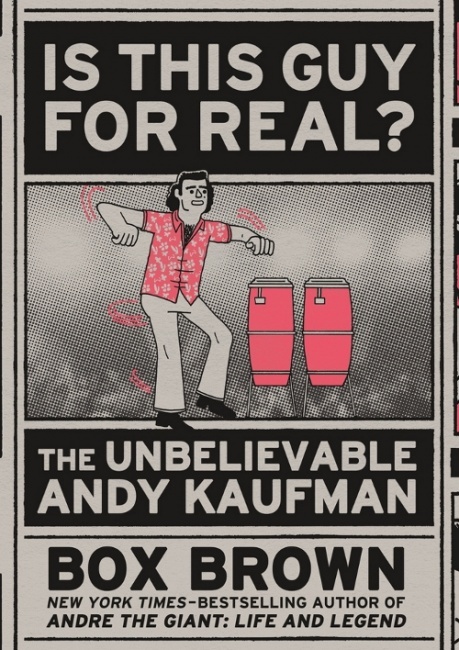 Unfortunately, Brown’s book cannot capture Kaufman’s nuanced character of Foreign Man, his crazed bongo drums or Mighty Mouse musical numbers, or his career as a wrestler with the same frenzied nature as witnessing them live or on television even today. As such, these moments in the book might fall flat with readers unfamiliar with these classic and now iconic performances. This is not Brown’s failure, but rather the nature of trying to capture somebody so eclectic such as Kaufman in print, even graphic format. However, Brown uses the graphic format in such innovative ways to compensate for this setback. In the final moments, Brown breaks the fourth wall and introduces a conversation he had with Kaufman’s brother Michael about a sentimental moment in Andy’s life. Additionally, Brown does a brilliant job illustrating Andy’s influence on introducing celebrity into the world of professional wrestling and legitimizing the sport beyond the diehard fanbase.